My recent “cruise by” of my local Cusp store resulted in a great Squirrel score- the discovery of HOS’ new go to brand for blouses, Cooper and Ella. First, how amaze is the name, Cooper and Ella? It sounds like the perfect names for a girl and a boy ‚¬Â¦non? Well, it happens to be the name of the children of the founder of Cooper and Ella, Kara Mendelsohn. After working in the fashion industry for big brand names such as, Calvin Klein, and Marc by Marc Jacobs, Kara set out to design a line of blouses that you can wear everyday. The blouses are romantic, chic, and can be worn from the office to evening effortlessly. The best part is they are affordable, without loosing quality of fabric or fit! I tried on every Cooper and Ella blouse that Cusp had, and the fit is divine! This is my favorite part of what I do, discovering new brands to share with all of you! HOS’ style gospel of this new line has already spread across my girl friend network of Squirrel Girls ‚¬Â¦soon enough they will be on every woman’s must have shopping list when it comes to the perfect blouse! The best part is when you are shopping via the site here the shipping is free! The reason? Because they love us! This is a win, win situation, and I find that sentiment a lovely gesture for their customers. To see what stores carry Cooper and Ella click here. Below are some of my favorite blouses from Cooper and Ella’s Fall Collection. I need to add this top to my already growing collection of their blouses ‚¬Â¦.check the detail on the arm, it is so brill! Black and white is big for Fall, and Spring 2014. This blouse could be worn for both seasons! Squirrel likey a lot! 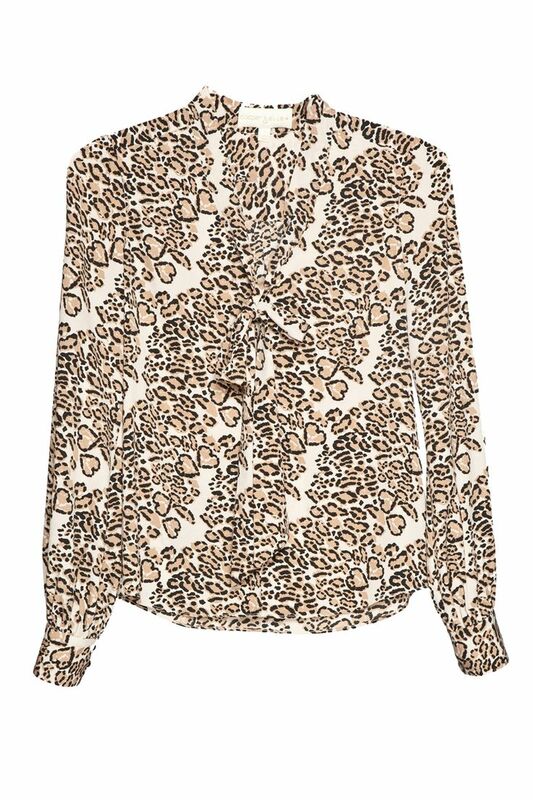 As you have read in my previous post “There’s a Jungle Cat in My Closet” , animal print is big for Fall. I am digging the cheetah print hearts. I think I need this blouse too! 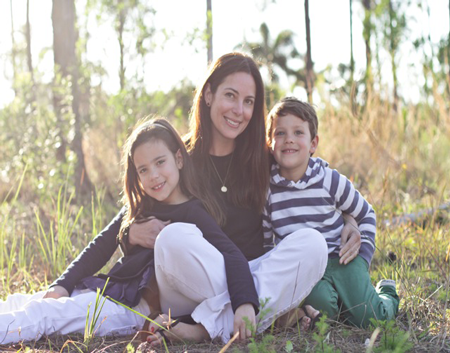 When I went to Cooper and Ella’s site, I read the ‘About’ page and saw this beautiful picture of Kara and her children, Cooper and Ella. Not only are HOS big fans of the line, we are so inspired by a Mother of two following her dream and realizing it to reality!